Nevertheless, the oil market fundamentals, as they stand, do not look overly bearish. Bank of America Merrill Lynch estimates that supply from OPEC+ will fall by a whopping 2.6 million barrels per day (mb/d) in the fourth quarter of this year compared to the fourth quarter of 2018. That figure includes the 1.2 mb/d of agreed upon cuts, plus substantial losses from Iran and Venezuela. Those significant declines, combined with slower U.S. shale growth and a steady increase in demand, should be enough to tip the oil supply balance into deficit territory, BofAML concludes. 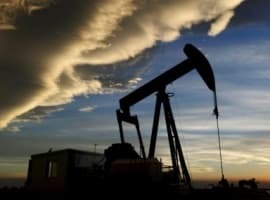 “On a net basis, we see aggregate [year-on-year] global oil supply growth of just 400 thousand b/d in 2019 and a deficit building into the summer months,” the bank said. As such, top OPEC+ officials do not seem overly concerned. 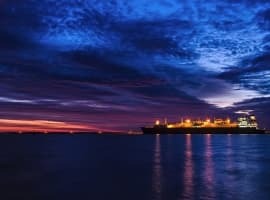 “Market sentiment today is being shaped by undue concerns about demand, underestimation of the impact of agreed supply cuts, and a misreading of the supply-demand trends which causes counterfactual actions by financial players,” Saudi oil minister Khalid al-Falih said at the Atlantic Council’s 2019 Global Energy Forum in Abu Dhabi. “In other words, if we look beyond the noise of weekly data and vibrations in the market, and the speculators’ herd-like behavior, I remain convinced that we are on the right track and that the oil market will quickly return to balance,” he said. One of the key variables to watch is Iran’s oil exports levels. Waivers granted to countries importing oil from Iran expire in May. The top U.S. official dealing with Iran sanctions, Brian Hook, hinted at the same conference in Abu Dhabi that the American government wouldn’t be as lenient this time around. “All I can say is that certainly when we have a better supplied oil market, then that will put us in a better path to [reducing Iranian crude exports] to zero,” Hook said. With robust global oil market fundamentals and accelerating Chinese crude oil imports, it is a question of how high oil prices rise. Four bullish influences could be at play during 2019. The first is the growing feeling in the global economy that the trade war between the US and China could be coming to an end. At last it dawned on President Trump that he can’t win a trade war against China and therefore it is better for him to cut his losses and end the war. The second is that Saudi Arabia needs an oil price far higher than $80 a barrel to balance its budget. That is why Saudi Arabia is determined to ensure that the recently-agreed OPEC+ cuts amounting to 1.2 mbd will do the trick and reduce the glut in the market. The third influence is that Saudi Arabia may never again allow itself to be conned by President Trump to increase its production to dampen the rise in oil prices. 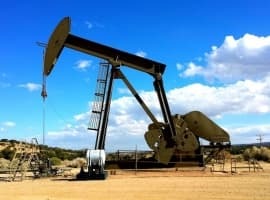 It has realized too late that it made a serious mistake in June last year when it agreed to add along with Russia 650,000 barrels a day to the market thus widening an already-existing small glut in the market and causing oil prices to decline steeply from the end of November to the end of 2018. The fourth influence is a spate of reports about a slowdown in US shale oil production. And despite bullish influences pushing oil prices up, two bearish elements may still be at play in 2019. One is the failure of US sanctions to cost Iran the loss of even one barrel from its oil exports leading the global oil market to realize that there will not be a supply deficit in the market. Another bearish element is the hiking of the US dollar’s rates by the US Federal Bank impacting on global oil demand. There are, however, indications that the US Federal Bank might soften its stance on the hikes and their frequency. There is no hard evidence that China’s economy is slowing down. Two facts contradict such a claim. The first is that China’s trade surplus with the United States in 2018 grew by 17% to a staggering $323.32 bn despite the intrusive tariffs. This is not a sign of a slowing economy. The second fact is that China’s oil imports rose by 30% in December to10.31 mbd and they are projected to hit 11 mbd in 2019. A rising demand for oil imports goes hand in hand with a growing economy not a slowing one. A December decline in China’s exports and imports doesn’t provide a credible evidence of a slowing down Chinese economy. You need to judge the imports and exports levels over a 12-month period and then compare it with the same period in the year before to be able to give a valid judgement on the state of China’s economy. As for US sanctions against Iran, it is irrelevant whether the United States renews the sanction waivers in May or not. These waivers were granted to eight countries (China, India, Japan, South Korea, Turkey, Taiwan, Italy, and Greece) who with the exception of Japan and South Korea didn’t need them in the first place and would have continued to buy Iranian crude with or without waivers. Still, I believe there is a reasonable probability that the Trump administration may renew the waivers if for no other reason than to use them as a fig leaf to mask the fact that their zero exports option is out of reach and that sanctions have so far proved a failure. If the waivers weren’t renewed, it will mean that only 5% of Iranian crude imports by Japan and South Korea may not materialize. However, China and India have been significantly increasing their purchases of Iranian crude thus offsetting that possibility. Yes indeed, especially in Nigeria and nearly all of the West Coast of Africa, as well Southern Africa are mainly one subject. demand crude oil market significant now.